UPDATE: The stand-off has ended after 16-year-old Michael Proctor of West Melbourne, Florida, shot himself and died. WEST MELBOURNE, Florida - A stand-off is ongoing at a West Melbourne home after a teen shot at police officers just before midnight on Wednesday. 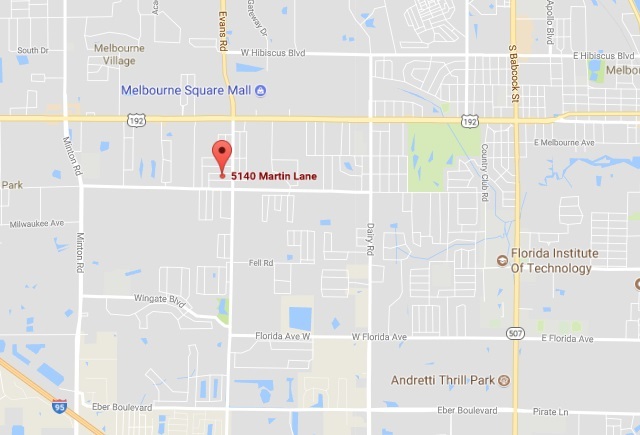 On October 11, 2017, at 11:57 p.m, patrol officers with the West Melbourne Police Department responded to a reported disturbance at 5140 Martin Lane in West Melbourne, Florida. The caller advised 911 dispatchers that her 16-year-old grandson was throwing things around inside the residence. Officers arrived and entered the home where they began interviewing family members. During the police interview, the 16-year-old grandson came from a back bedroom and began firing at police. The officers retreated towards the front door with three other occupants of the home as the suspect continued firing on officers. Police say that they were not able to return fire. The shooter then remained inside the home with at least two other occupants. One of the two occupants was able to escape the home just after 4 a.m. The second occupant escaped just after 5 a.m. Now the only person believed to remain inside the home is the shooter. The West Melbourne Police Department Strategic Response Team is holding a perimeter on the residence. Brevard County Sheriff’s Office SWAT team is also on scene. At this time, Martin Lane and Walker Avenue are closed. A few homes in the immediate vicinity have been evacuated.